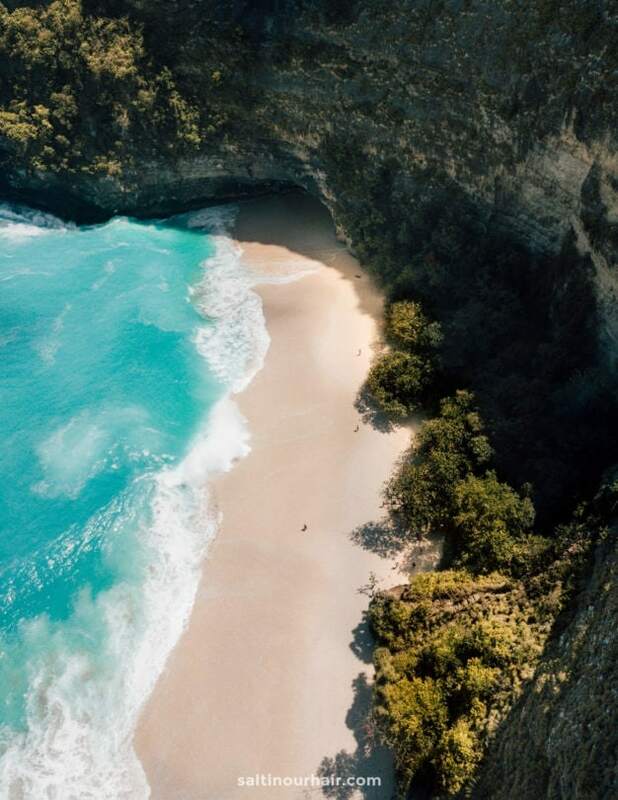 Bali is an island that should be on everyone’s bucket list. 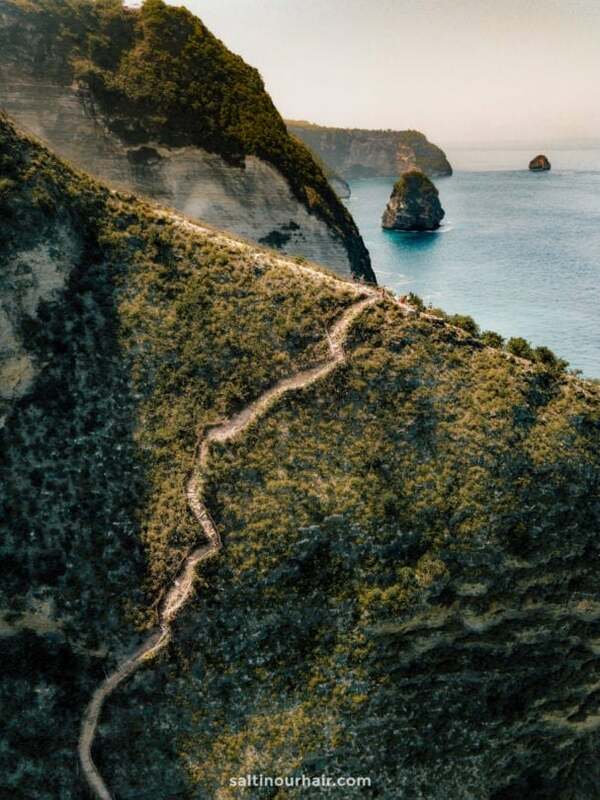 During your 3-week Bali Route, it is best to have a combination of hidden gems and rich experiences. 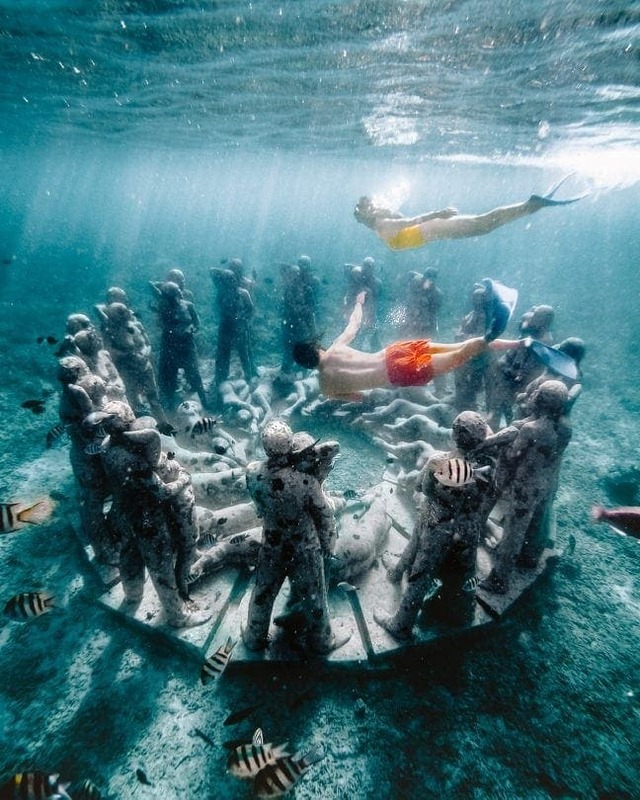 Do this by following our list of 12 Things You Must Do in Bali. 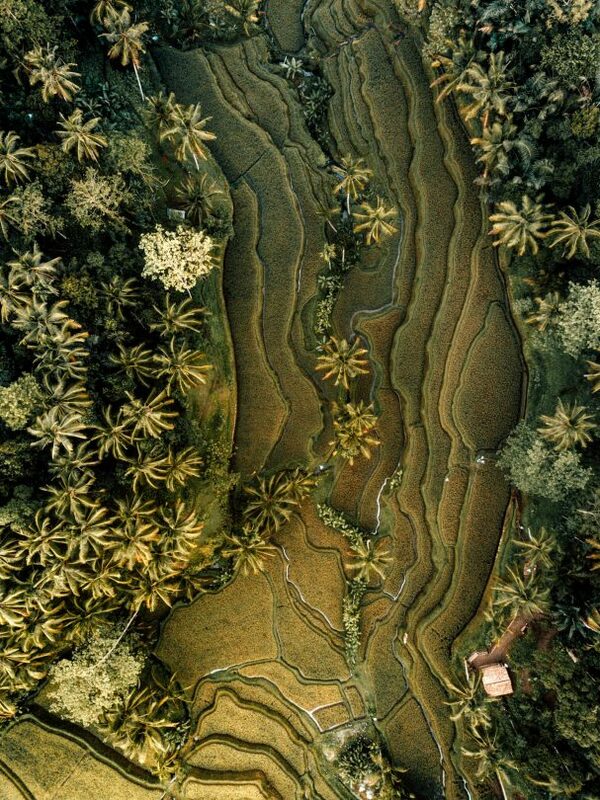 Tegalalang Rice Terraces is a valley of rice paddies, located north of Ubud. 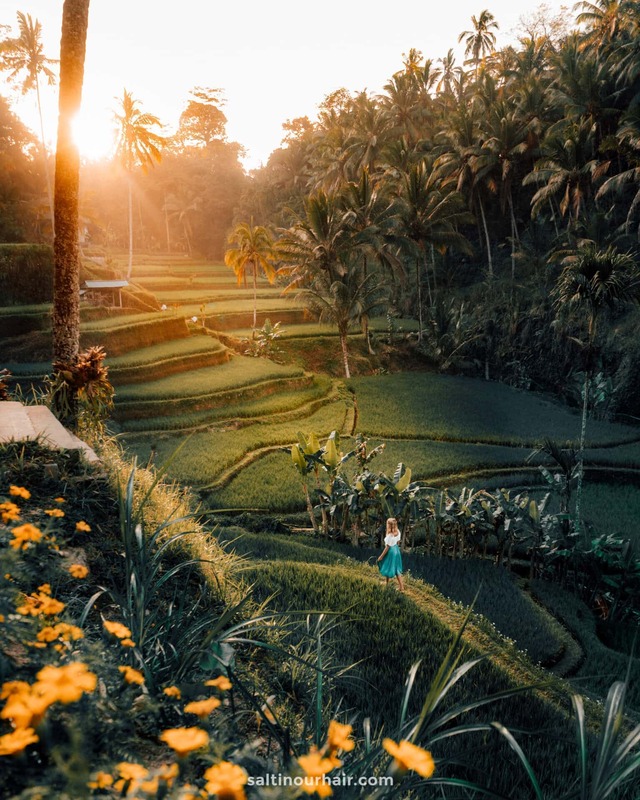 During the daytime, Tegalalang is an incredibly popular attraction in Bali but in the early morning it is one of our top things to do in Bali. Dislocated from all other tourist attractions the Sekumpul waterfall is a real gem! A 40-minute hike down to the foot of the waterfall, reveals an enormous powerful fall and when the sun shines, a rainbow appears at the foot. 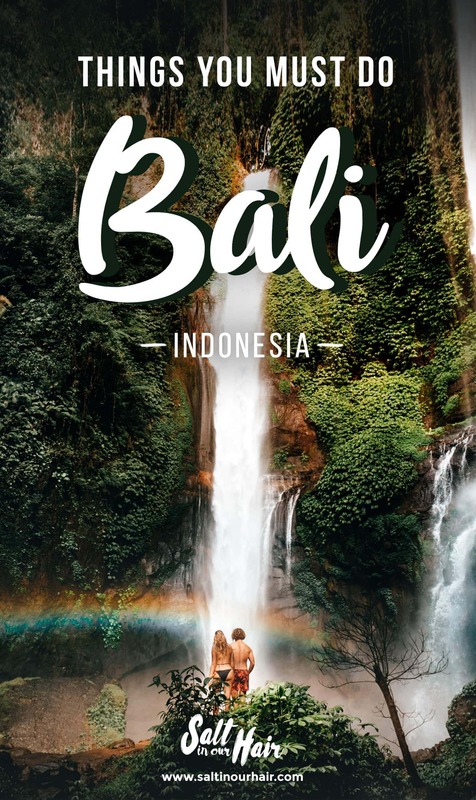 Our number one on must does in Bali! 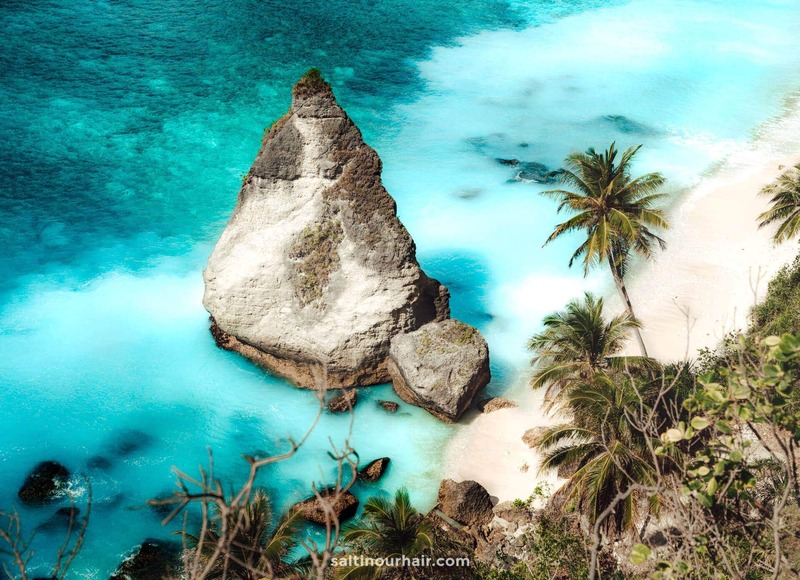 White beaches, silk blue water, and palm trees on the foot of an enormous limestone cliff. 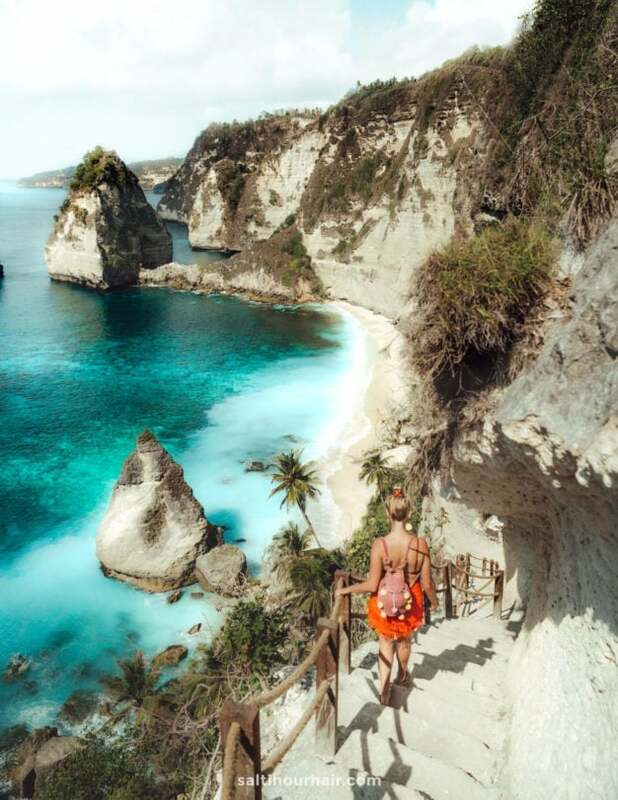 Diamond Beach in Nusa Penida Island might have the title ‘most beautiful place in Bali’ and therefore a must visit! 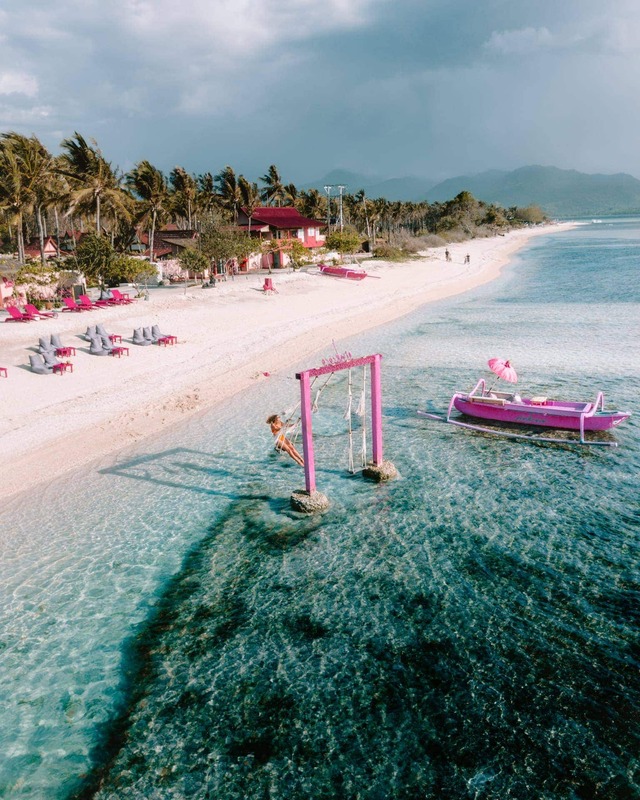 Ok, the Gili islands aren’t part of Bali but it just has to be on your 3-week Bali Route Guide. White sand, turquoise water, and bikes as transportation. 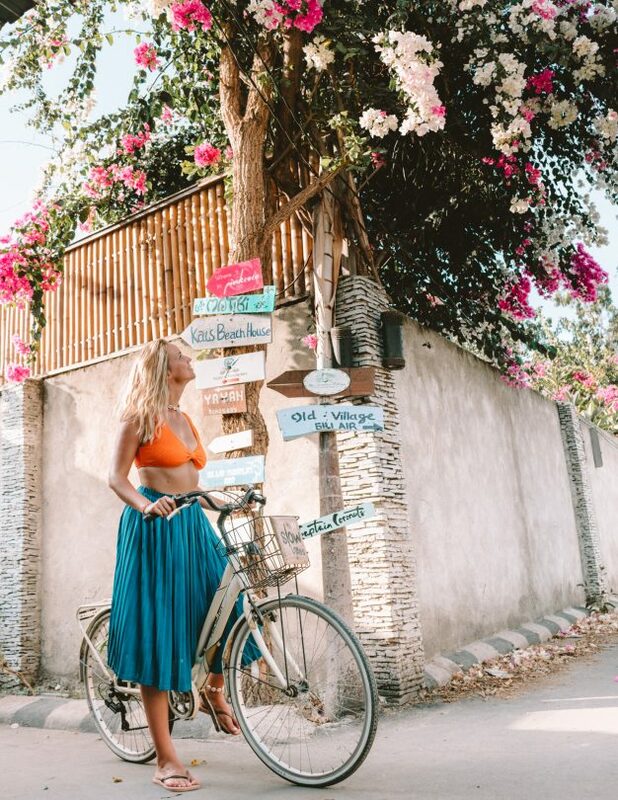 Yes, Gili Air is car-less! Snorkeling with turtles is one of the popular things to do on Gili Air. Grab a snorkel, dive in and explore paradise! 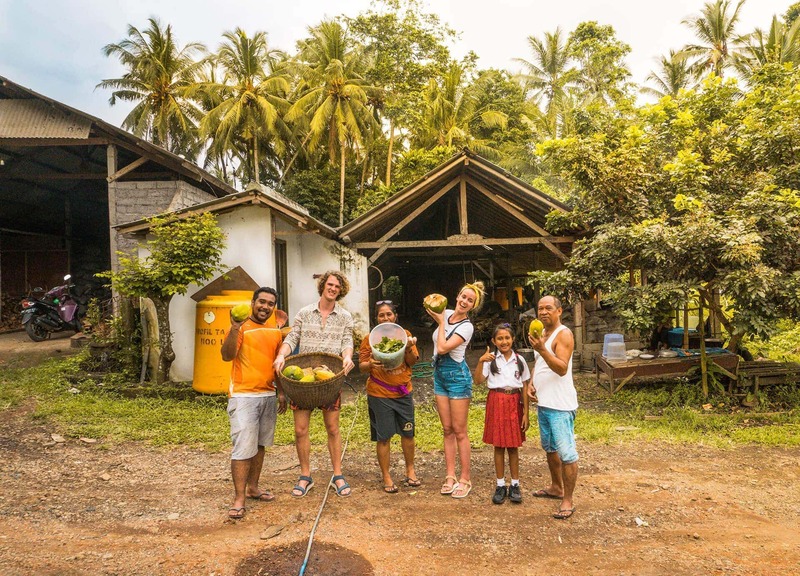 Get to know the Balinese local life by staying with a local family. 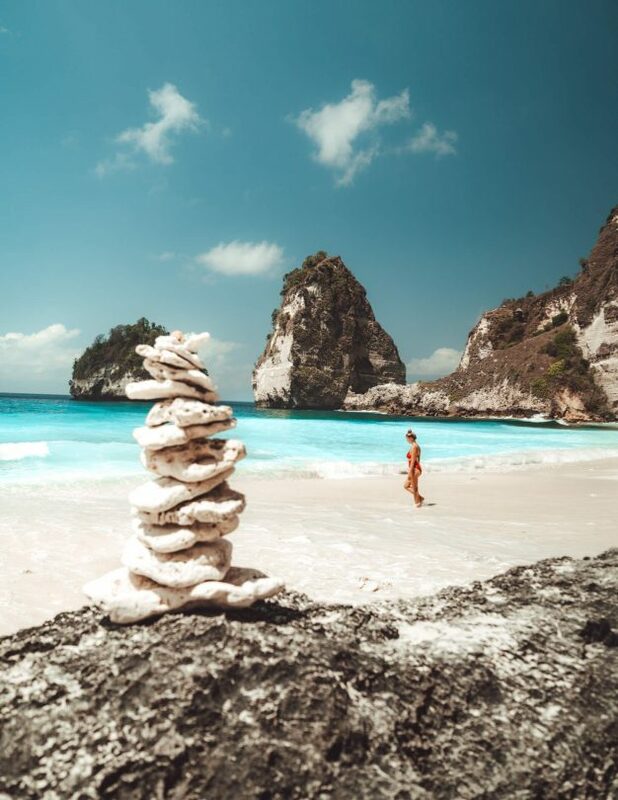 One of the things you must do in Bali to get to know the island. Experience how the real Balinese people live their daily lives, help them do their work, taste the incredibly tasty food they eat. After these days you will leave a lot of new friends behind. No matter if you’re a morning person or not, make sure to experience sunrise in the Munduk region. 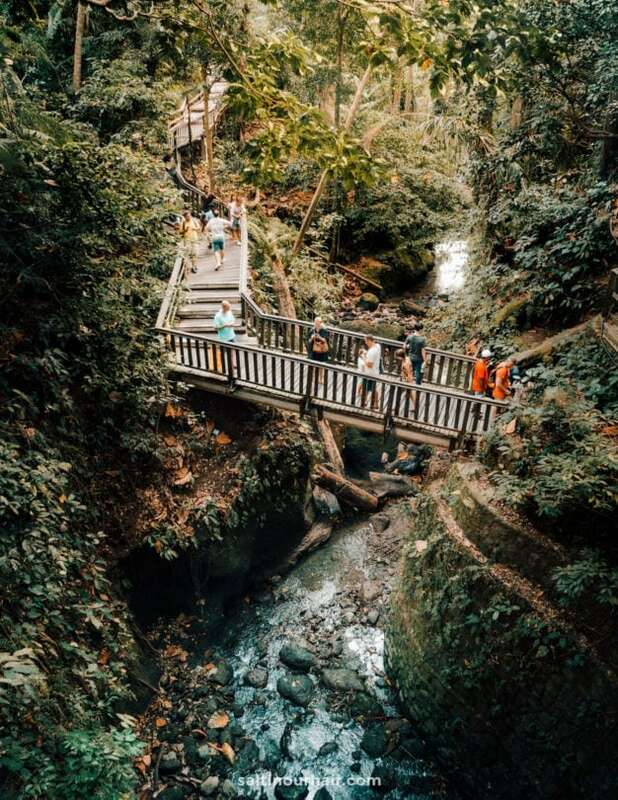 Munduk is higher up north in Bali and the climate is more foggy and rainy, which makes it greener than near the coast. The photo below is at Munduk Moding Plantation. 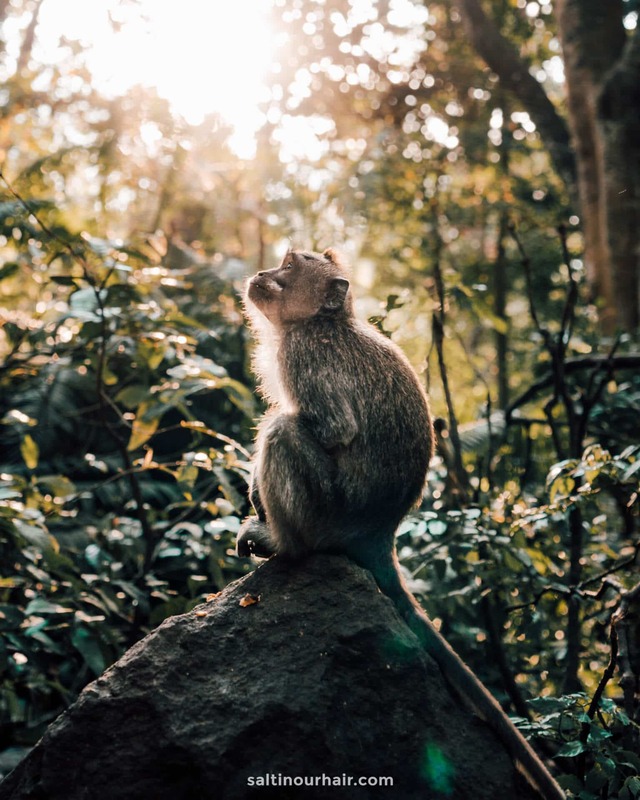 In the heart of Ubud is a forest without a fence where monkies roam free. 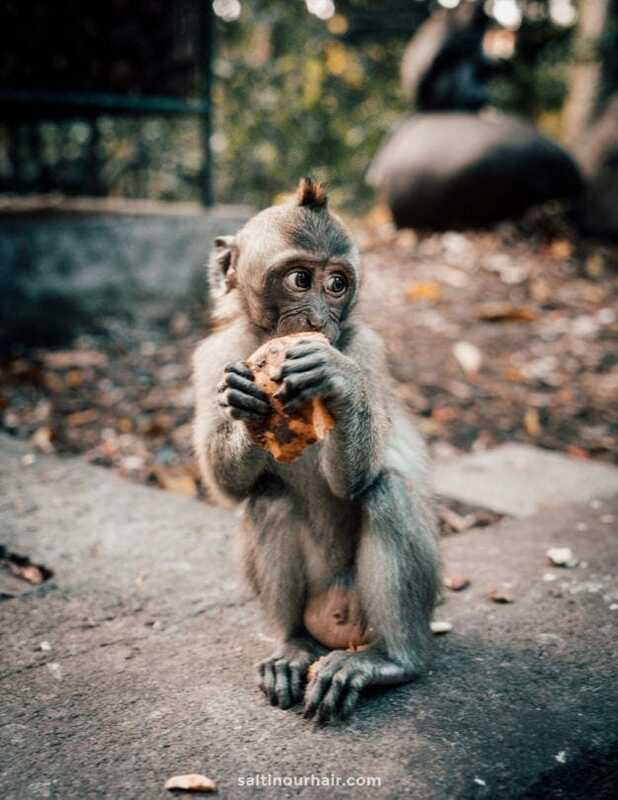 The big old rainforest is a beautiful walk and at some locations, the monkies are relaxing or getting fed to keep them calm. Don’t worry, there is monkey police is they start to get annoying. The Kecak Fire Dance is a dance performance in Bali. A group of 65+ human vocals acting as instruments that strength a story told in the form of dance. 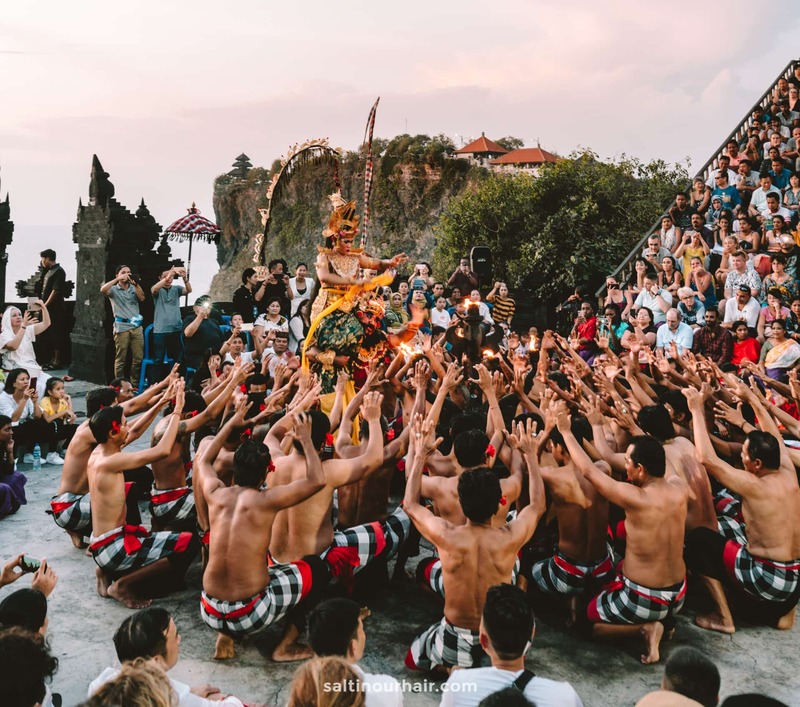 Witness the dance at sunset on a cliff-top amphitheater at Uluwatu Temple or in the center of Ubud town. 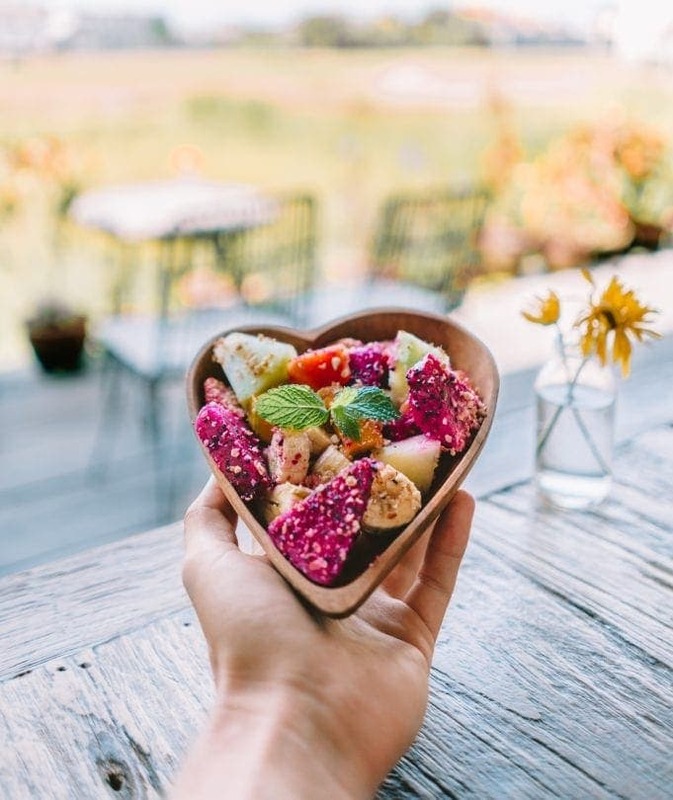 Canggu is a food lovers paradise! Indonesian food, burgers, fusion, vegan and the best coffees and cakes. 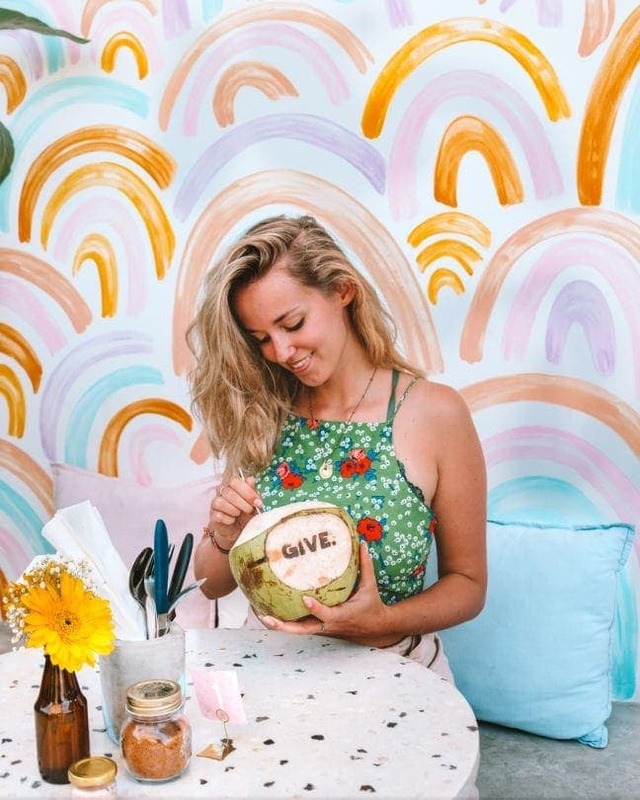 Compensate that with a little surf, CrossFit or yoga and are ok to be a full-time foodie when staying in Canggu! 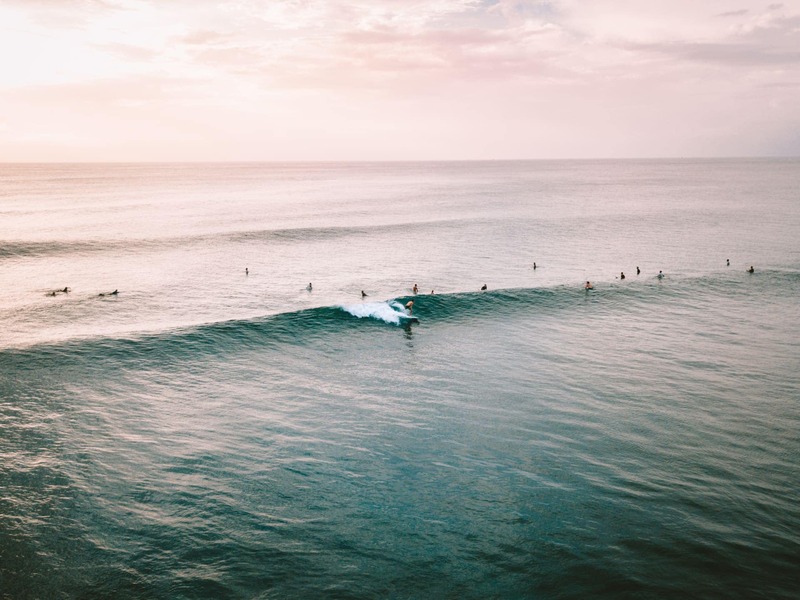 No matter if it is your first time or you a real skilled surfer; Bali is surfing. 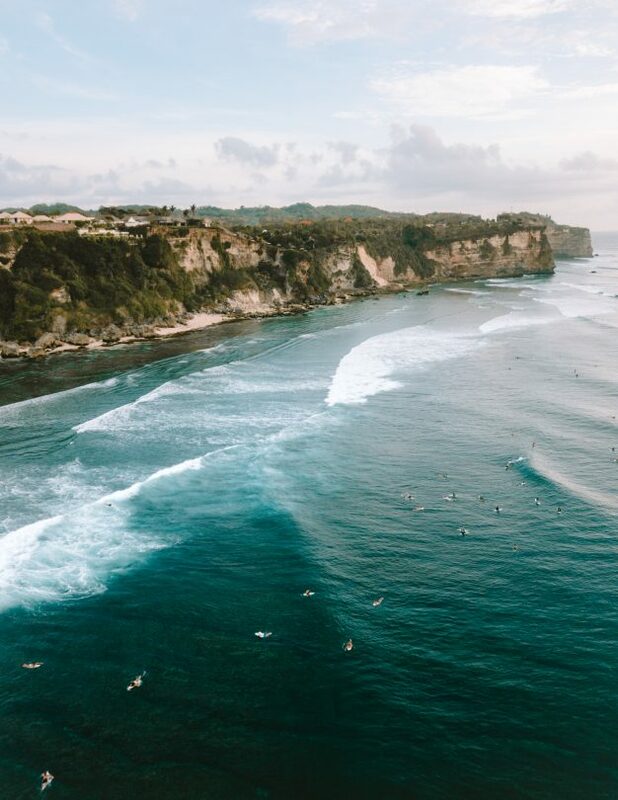 Kuta for beginners and loads of other spots like Uluwatu or Canggu for the more experienced surfers. 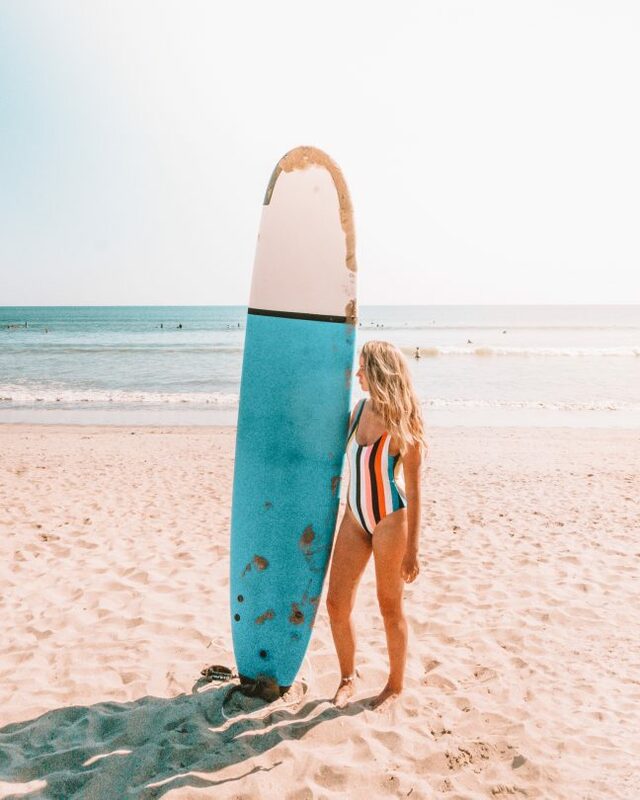 To the beginners out there: Grab a board, find an instructor on the beach and you are ready to go! 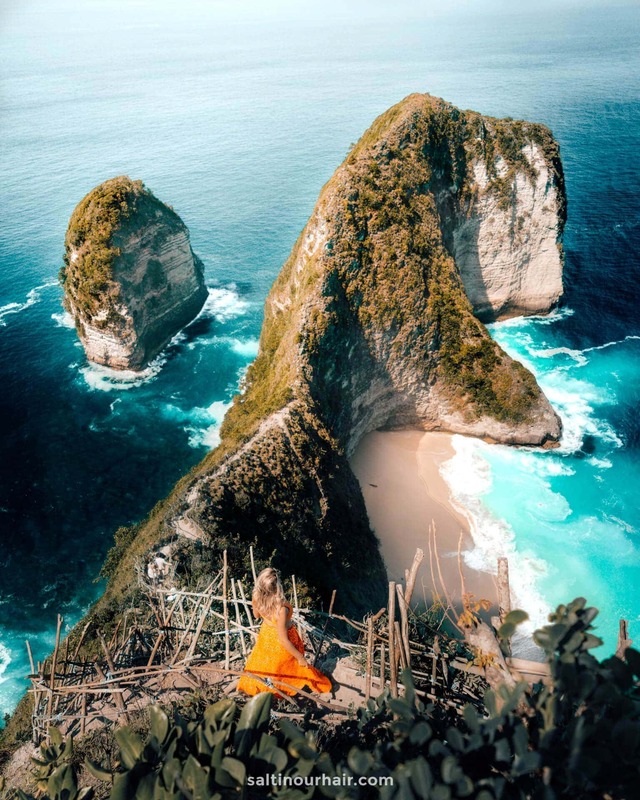 In the deep southern tip of Bali, the limestone cliff drops go straight down into the ocean. 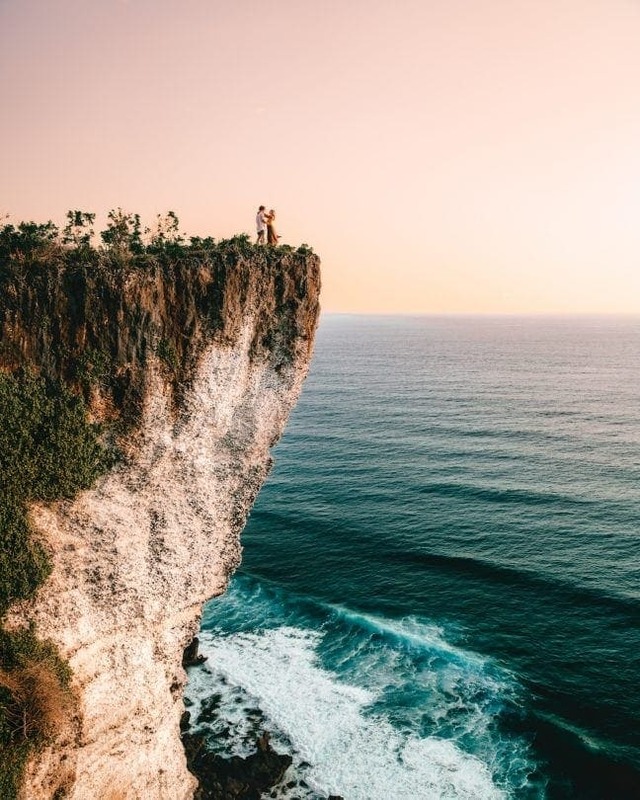 Uluwatu Cliff, officially named Karan Boma Cliff has a height of 70 meters! 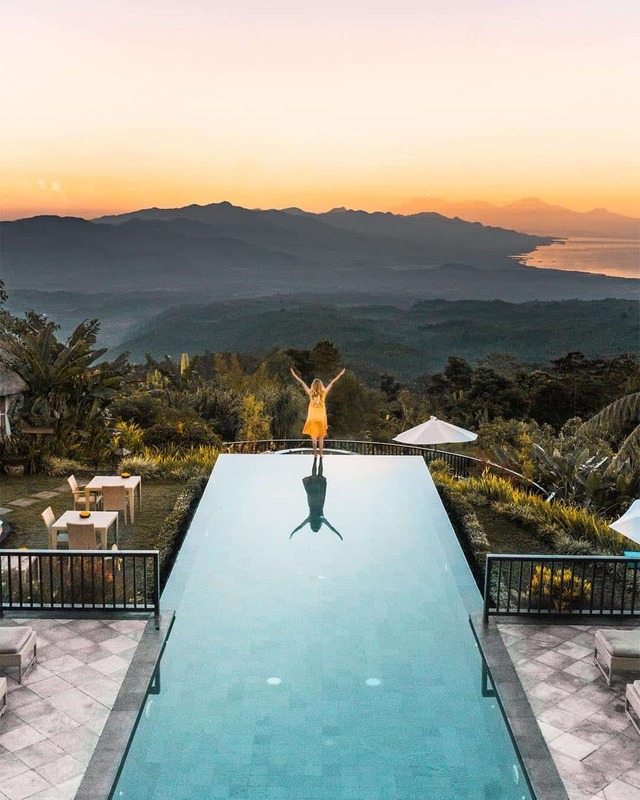 The sunset from this location is one of the things you must see in Bali.